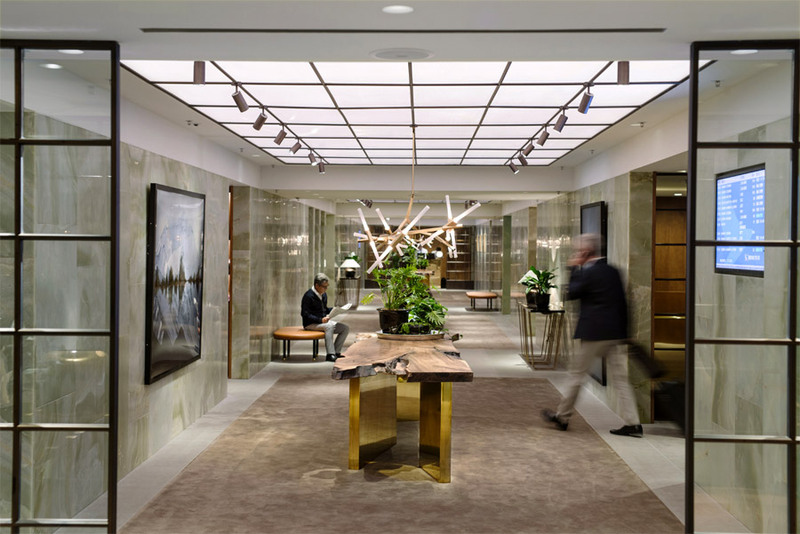 CATHAY PACIFIC AIRWAYS reopened The Pier First Class Lounge at Hong Kong International Airport in June 2015, following an extensive renovation. 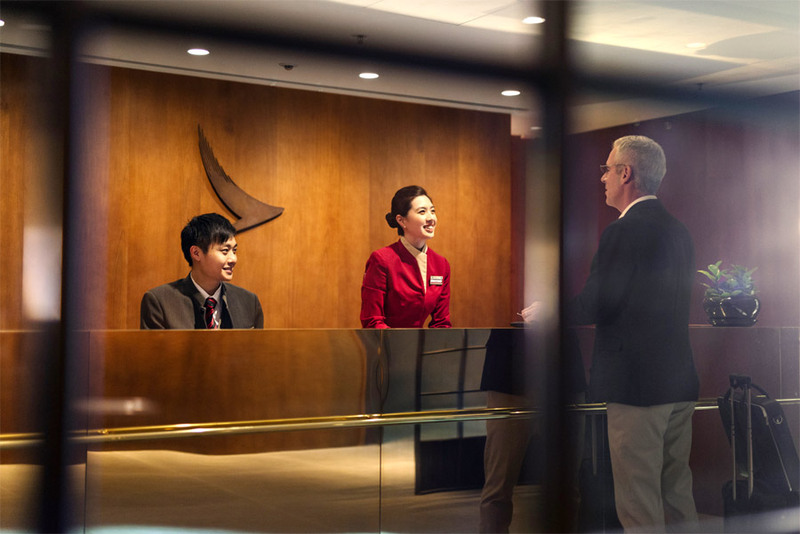 Measuring 2,061 square metres, the lounge is located at Gate 63 in the North West concourse of HKIA. 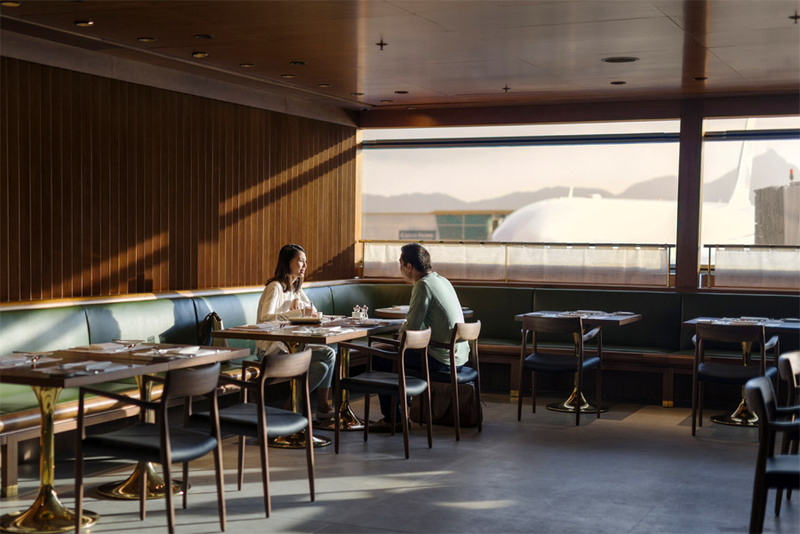 With a maximum seating capacity of 231, the lounge expresses the heartfelt warmth, considered simplicity and contemporary Asian values at the heart of the Cathay Pacific new brand design ethos. The atmosphere throughout the lounge has a domestic level of comfort and characteristics of a home. This is reflected in the choice of materials, furniture, and lighting; the same considered approach has been taken with the selection of art, music, and food, all of which have been curated to feel coherent and support the idea of this being an apartment that visitors are guests in. Real furniture pieces similar are adopted throughout the lounge, in place of contract furniture. Complimentary foot massage is introduced for the first time in Cathay Pacific lounges to cater for passengers’. Neck and shoulder massages are also available on request. The Retreat area consists also of Day Suites and Showers. The Pier is fitted with a total of eight suites, each furnished with a comfortable daybed, a reading light, a mirror, and heavy curtains for added personal privacy. The adjustable lighting and blinds allow passengers to control the comfort of their own environment. The Day Suites make for a perfect area for a spell of soothing relaxation before boarding. The 14 Showers are furnished with natural limestone and timber, which provide a calm, relaxing and private sanctuary for passengers to unwind before their journeys. The Pier First Class Lounge features the Dining Room with à la carte dining for 100 people at a time. The Dining Room offers table service with freshly prepared dishes made-to-order by the chef. At the Pantry, passengers can enjoy grab and go delicacies with items changing throughout the day. Passengers can sample a wide selection of breakfast items in the morning, followed by an all-day menu. A wide selection of wines and cocktails are also available at the full-service Bar. The Library is a comfortable and quiet place for reading and relaxing; and the Bureau feels like a home office environment with six iMac computers for working and web browsing. 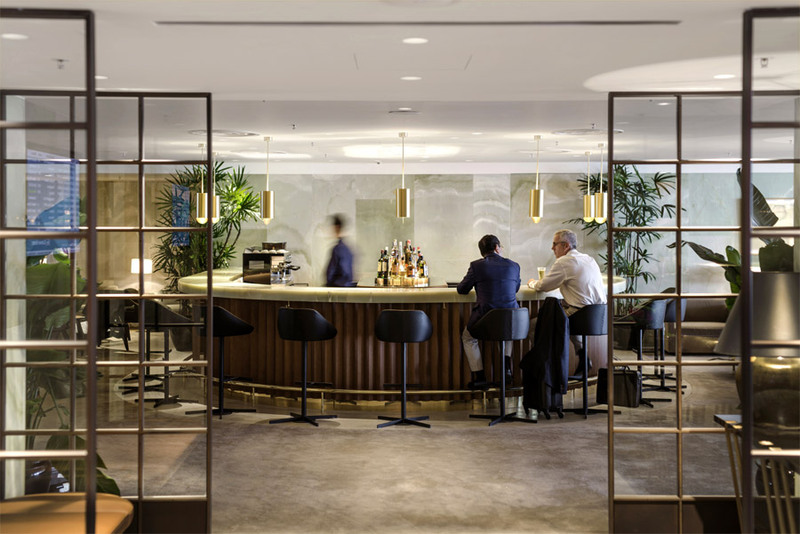 The Pier First Class Lounge is the first Cathay Pacific lounge to feature the airline’s bespoke fragrance, a blend of lavender, bamboo, green tea, jasmine etc.